The driver of a Smart car proved that size doesn't matter when it comes to speed Monday night in the San Fernando Valley. What started as a minor traffic violation turned into a pursuit that involved the California Highway Patrol. Officers stopped the motorist for speeding at about 9 p.m. on the northbound 170 Freeway near Sheldon Street. Officers said the driver fled after providing his license and registration. Cruisers pulled back as the chase continued toward Pasadena and speeds neared 100 mph. Authorities abandoned the pursuit on the eastbound 210 Freeway near Sylmar when they determined the driver's identity and residence. 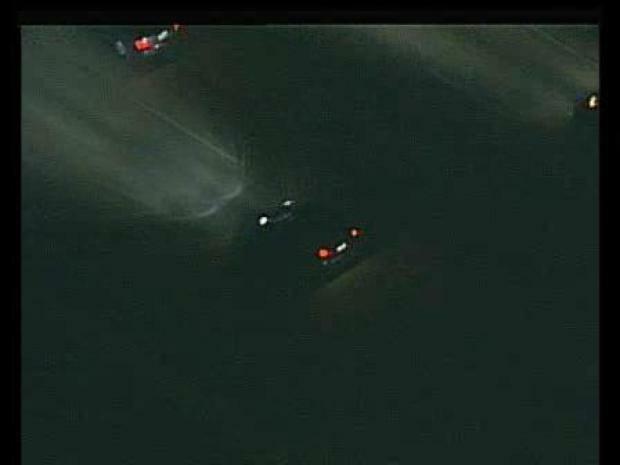 A Smart car reaches speeds near 100 mph during a pursuit. The base model Smart car features a 1.0-liter, 3-cylinder engine that produces 70 bhp. Smart also offers a BRABUS-modified model with improved suspension and aerodynamics.